This is the last Caturday felid before Coynezaa, but they will continue, as usual, unabated through the holidays. 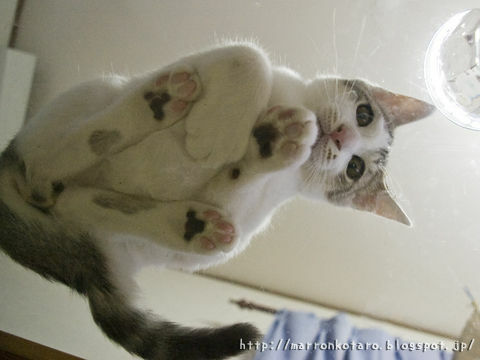 Watch a cat’s paw unlock the phone! For the curious, I also tested the 5s fingerprint sensor on the heel of my palm, as well as on the inside of my forearm up around the wrist, and found that I could register and successfully unlock with both skin regions. Again, it was trickier to get the unlock to work consistently, and trying to fool the sensor by using the same part of the body on the opposing limb never worked. To clarify, this isn’t a ‘hack’ of Apple Touch ID tech, like the kind a group of individuals is trying to crowdfund via the istouchidhackedyet.com covered earlier this morning by ZDNet. But it is a broadening of the definition of what counts as a “fingerprint” by the iPhone 5s scanner’s standards, so if you think your pet needs access to your accounts, feel free to register them as one of your five stored Touch ID profiles. Baloo, a one-year-old tabby, survived the 17-hour trip to Montreal after crawling into a parcel shipped by his family. He was spotted by a Purolator worker in Montreal last week. 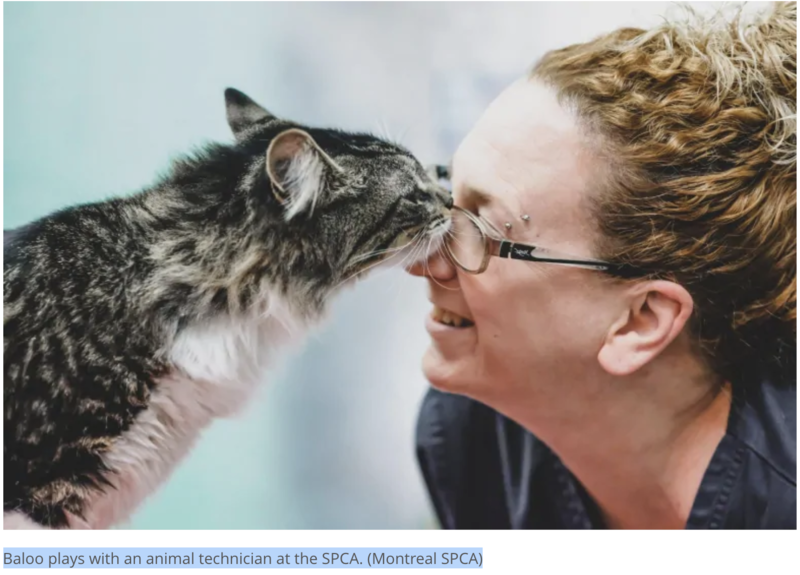 “[It] could have had a much worse ending so we’re very relieved that he’s doing fine,” said SPCA Montreal communications director Anita Kapuscinska. The shipping company called the local SPCA when they found Baloo, and the organization was able to track down its owners. “They couldn’t be more relieved, surprised, thrilled, there were a lot of emotions going on during this phone call with them,” said Kapuscinska. His trip back to Nova Scotia begins Saturday morning. Baloo got into a box of tire rims the family was preparing to ship. “Somehow he managed to sneak into the box when no one was looking and must have taken a little cat nap,” she said. Baloo is on his way back under much cozier conditions, courtesy of the Freedom Drivers, a network of volunteers that transports animals between shelters. Only in Kindly Canada would there be an organization that would drive a wayward moggie 1200 km so it could be home for Christmas. The moral: check those boxes before you send them out! Here’s Baloo at the SPCA. He’ll be starting for home today! Tail up, back arched, not happycat. 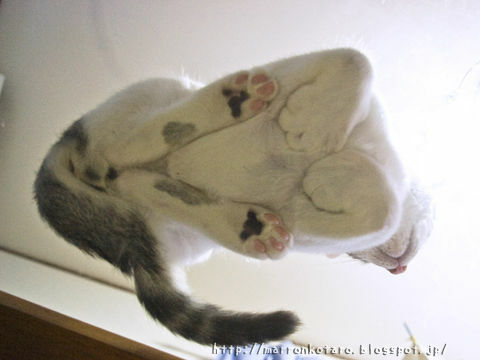 Catling, glass table, water glass. This entry was written by whyevolutionistrue and posted on December 22, 2018 at 9:00 am and filed under Caturday felids. Bookmark the permalink. Follow any comments here with the RSS feed for this post. Both comments and trackbacks are currently closed. Baloo wants to get into logistics. 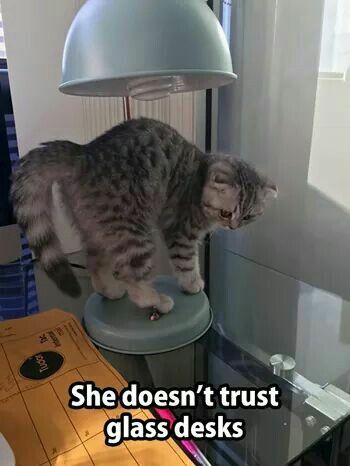 Pretty smart cat. Only in Kindly Canada would there be an organization that would drive a wayward moggie 1200 km so it could be home for Christmas. Me, I’d suspect a “bucket brigade” across adjacent “territories” of animal rescue organisations. “My” cat (‘Heather’s Homilies’ readers will understand the speech marks)isn’t worried by glass tables with glasses of water on them. When my brother visited a few weeks ago, after being initially a bit wary of the Big Loud person, Reilley jumped on the glass coffee table and began drinking from Doug’s glass of water as if he’d been doing it all his life. There’d never been a glass of water on my coffee table during his tenure before. Not just in Canada: at Purrfect Pals in Arlington, WA, we will arrange for any cat that has been adopted from our no-kill shelter to be picked up and returned from ANYWHERE in the US. Recent examples are Los Angeles and Las Vegas. There are also organizations that operate Underground Railroads, transporting d*gs from kill shelters in CA to OR and WA.